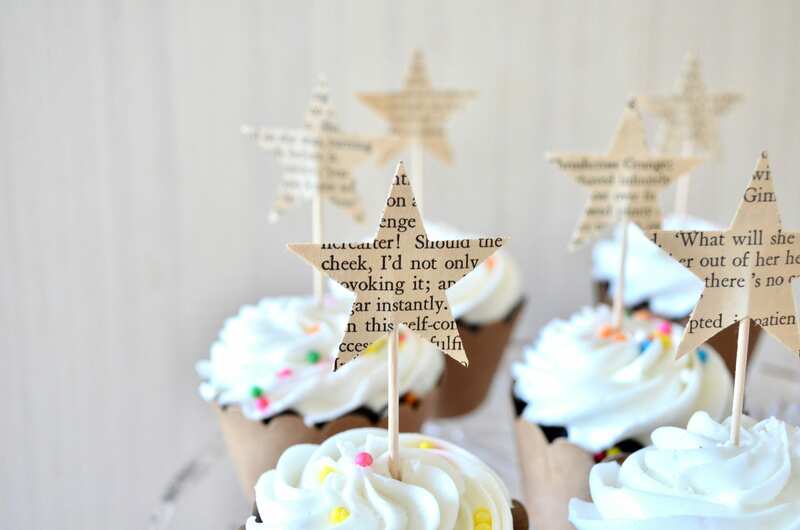 The Original Vintage Book Star Cupcake Toppers - Handcrafted from vintage books. Custom literature available. 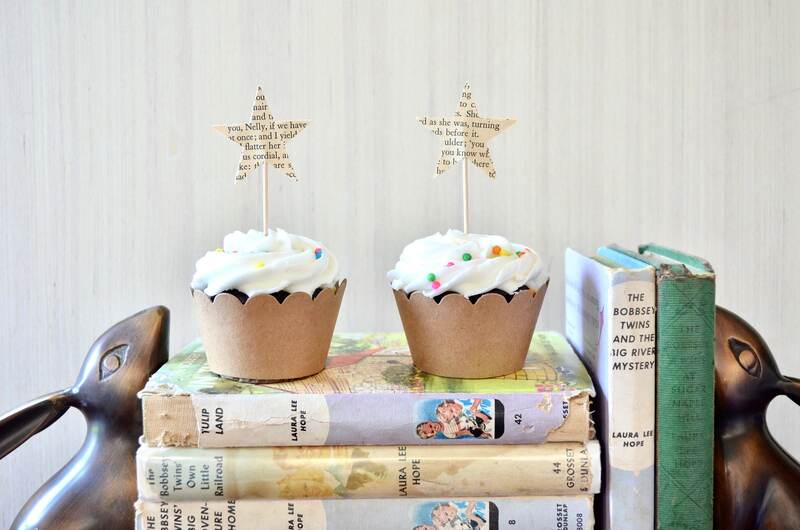 A whimsical set of vintage book star shaped cupcake toppers. Each one is handcrafted from vintage books creating a whimsical and one of a kind look. 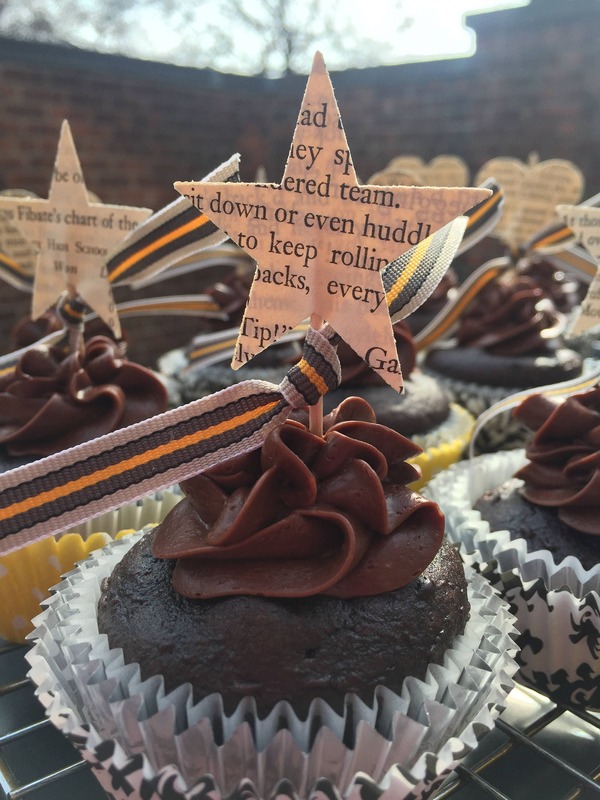 Perfect for birthday parties, graduations, wedding, and book clubs! 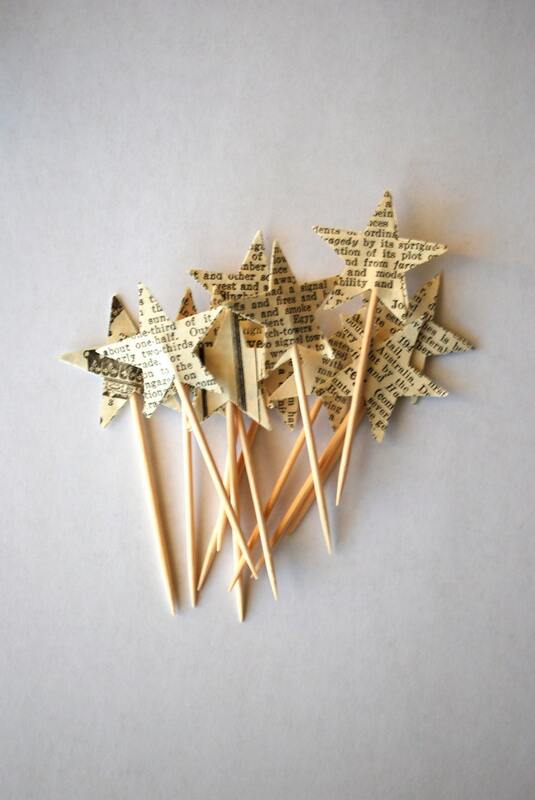 Each pick is made using stars cut from vintage book pages and is double sided - they look amazing from every angle! Each paper star is 1 1/2" across and secured to a food grade toothpick. Are you looking for a larger quantity or have a custom book request? Send us a note and we will see what we can do to help. Constructed in a smoke free, pet free, peanut free studio. 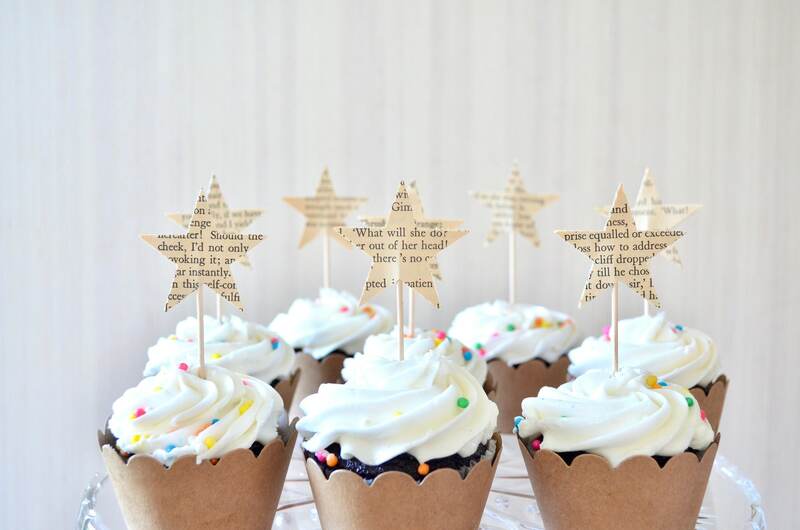 Perfect for our book themed party! At the time of order I thought I was making cupcakes but ended up ordering a sheet cake and item made the cake! I sent a note that I was using these for my daughter's Books and Brunch baby shower. Not only did they arrive promptly but they were Winnie the Pooh pages, which made them even more perfect!